The devastating story of thalidomide—a once-popular morning sickness drug later found to cause terrible birth defects—might have a few more chapters left to it. A new study published this week in the journal eLife claims to have discovered how the drug was able to so brutally harm developing fetuses in the 1950s and 1960s. The paper’s insights might even support the development of new kinds of drugs in the near future. Soon after its discovery in the early 1950s, thalidomide was approved to treat pregnancy nausea in more than 40 countries across the world (the United States was one of the few major exceptions). Though the drug’s makers initially argued otherwise, it became apparent that many children whose mothers took the drug during a certain window in the first trimester were being born with limb deformities; others died before birth. By the time the drug was phased out starting in the mid-1960s, at least 10,000 “thalidomide babies” were seen in Germany alone. The drug was given a second life a few decades later, however, when doctors realized it could—if carefully managed—safely treat certain types of cancer and conditions such as leprosy. Since then, similar drugs have been developed and approved as a treatment for a variety of health problems, including psoriasis and lupus. According to the researchers behind this current study, though, there’s still not much we conclusively know about how thalidomide damaged developing fetuses on a molecular level. “Only if we fully understand how thalidomide causes birth defects, can we assess whether new drug candidates are safe,” senior author Eric Fischer, a scientist at Harvard Medical School’s Dana-Farber Cancer Institute who has long studied the useful properties of thalidomide, told Gizmodo. Based on earlier research, the team theorized that a protein called SALL4 might be the key link. SALL4 and similar proteins play an important role in our early development, helping us correctly form organs and tissues in the womb. But sometimes, people can have a defunctive SALL4 gene, a rare condition known as Duane-radial ray syndrome. And as it happens, the symptoms of people with Duane-radial ray—missing thumbs, unformed limbs, congenital heart defects—bear an uncanny resemblance to those seen in newborn thalidomide victims. These people are sometimes even misdiagnosed as having thalidomide syndrome. Fischer’s team studied the effects of thalidomide and two similar drugs on human stem cells, the building blocks that go on to become any other type of human cell. They found that all three drugs triggered a rapid loss of SALL4 production in the cells, sometimes in as little as four hours. Other proteins were also affected by thalidomide, but those proteins aren’t suspected to cause the sort of damage seen in babies with thalidomide syndrome. “People have speculated about SALL4 for a long time, but this is the first experimental link to be shown,” Fischer said. Unraveling the mystery of thalidomide carries historical weight for the researchers, some of whom are German-born. Germany was where the drug was first discovered, and it’s likely where the most children with thalidomide syndrome were born. More broadly, better understanding thalidomide’s unique mechanisms might also help scientists discover new types of drugs. Molecules often affect the body by binding to specific receptors in a specific type of cell. And when a drug goes after a molecule, it usually does so by interfering or otherwise interacting with these same receptors. But thalidomide, Fischer explained, hijacks another molecule (known as a ligand), then goads that molecule to destroy SALL4 and other proteins, a process called degradation. 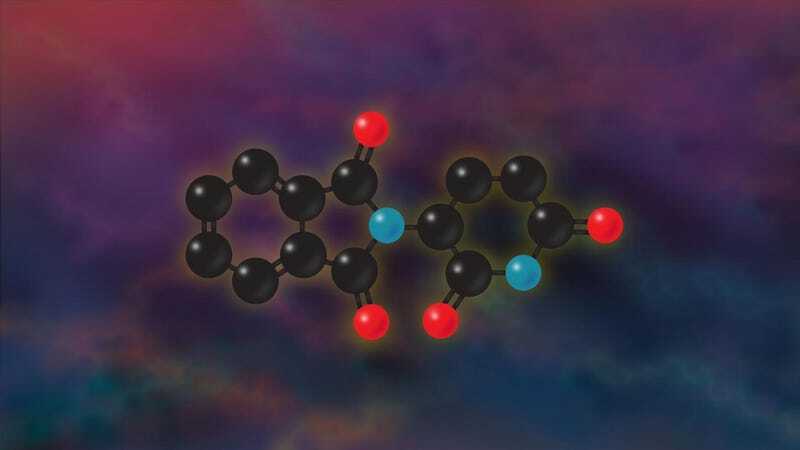 Not all molecules that affect the body need to bind to receptors, so finding more thalidomide-like drugs would give scientists ways to go after previously unreachable targets through degradation. Fischer’s lab is already researching several promising candidates that look to borrow from thalidomide’s bag of tricks. He also hopes to confirm in further animal experiments that SALL4 is indeed the main cause of thalidomide-related birth defects.